Story: Nothing has been revealed about Barbamama's origin. 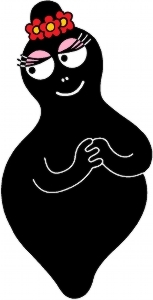 Barbapapa met her after searching around the World for someone like him. He married her and together they started a family, which they grew in their garden.